An interesting dispute involving a denied bad-beat jackpot offered by Las Vegas’s Station Casinos chain will drag on for at least a few more weeks, after the Nevada Gaming Control Board delayed a decision it was expected to announce this week. Instead, the dispute has been returned to an NGCB investigator, or more precisely, a hearing examiner, with instructions to gather additional information on the matter. The ongoing dispute involves a supposed bad-beat jackpot (BBJ) breaking hand that occurred at the west-Vegas Red Rock Station last June. The capped jackpot stood at $120,000 and was “broken” in a pot featuring Schreter and tablemate Avi Shamir, only to be invalidated a short while later after Station Casinos exec reviewed security footage and decided that an over-excited Schreter accidentally voided the jackpot by exposing his cards out of turn on the river. In the meantime, the linked BBJ tables spread across Stations’ chain of Las Vegas-area casinos had been notified that the jackpot had been cracked. Per the terms of the promotion, all participating players at BBJ tables, chain-wide, were due at least a modest slice of the jackpot. One of those players, Michael Bluestein, who was playing at a Santa Fe Station BBJ table, was among the roughly 80 players who still might collect $565 each. That amount pales, however, to the amounts still in limbo for Schreter and Shamir. Shamir, who held the lower of two straight flushes in the BBJ-breaking hand, is still waiting for a final ruling on a $62,126. Schreter, who won the hand with a higher straight flush but unintentionally fouled the jackpot in his excitement, possibly awaits half of that, or $31,063. An update in the Las Vegas Review-Journal details some of the reasons why the matter has been extended and the ruling delayed. Among them is that Schreter, whose actions caused the jackpot award to be nullified, more recently filed paperwork dropping his portion of the complaint against Station Casinos. Given the nature of the dispute, that’s most curious, and there’s little to indicate whether the subsequent withdrawal from the complaint by Schreter was accidental or deliberate, and whether that’s the “procedural error” noted in the hearing’s minutes. Also, per the LVRJ, was the declaration by NGCB member Terry Johnson that Station Casinos’ bad-beat jackpot rules, as stated, may actually run counter to standard Nevada gaming findings in circumstances where the ultimate winner of the hand had already been decided. Schreter was assured of the winning hand when the river card fell, after which he revealed his cards, and the only person who could possibly have been harmed by his actions was himself. Indeed, Stations’ decision to nullify the BBJ payout might be in accordance with its own promotional rules, but Schreter’s actions would not have violated or nullified the hand itself in any way, as it played out back in June. 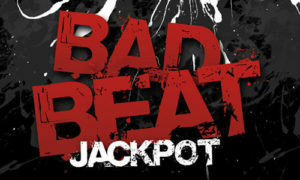 The ongoing dispute demonstrates just how tricky the whole concept of a bad-beat jackpot promotion can turn out. Such jackpots have been invalidated for similar reasons by other casinos in the past. However, a victory in this dispute by the players would likely force BBJ-offering casinos to rework their rules and guidelines to cover such accidental and non-hand-changing events.